Italian yard Benetti has continued its top management reshuffle, appointing Sebastiano Fanizza as chief commercial officer. Fanizza, who joins the company after three years as Nautor’s Swan’s commercial and business development director, will be responsible for the company’s commercial strategy. He will also be handed brand and development responsibilities and will report directly to recently appointment chief executive Franco Fusignani. 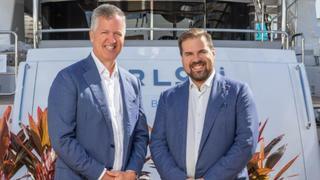 The new Benetti sales structure will also see Roberto Corno step into the role of vice president of sales covering the CIS and Eastern Europe. Meanwhile Nick Bischoff has joined as Benetti country manager for the Americas. He was previously president of Endeavor Yacht Consultants. The appointments are part of a management reshuffle, which was sparked after the chief executive of Benetti’s Business Line division, Vincenzo Poerio, stepped down in September. He was replaced by Franco Fusignani.